Well… Is it genuine offer? And what is the Aussie Method about in the first place? There many questions that beg for answers. Read the detailed review below to see what the Aussie Method is and what it does for you. My verdict: SCAM!!! Please don’t deposit money with them!! They turn you into a roadkill. Listen! If you want to make side-money online do NOT ask Binary Options to date you. First, it is extremely high risk business opportunity. You may lose all. Second, it is not suitable for the average person on the street. There are much better, safer, and newbie friendly ways to make side-money online. Legit and genuine. Click on the link to see my #1 preference (I am using it). …I Had No Idea This Would Work. But These Testimonials Are Proof. See How! Full Review – What Is The Aussie Method? The Aussie Method is a binary options robot (or trading software). It is supposed to automatically invest and trade through other binary options brokers. In fact, you can trade manually or use its full auto-pilot feature. 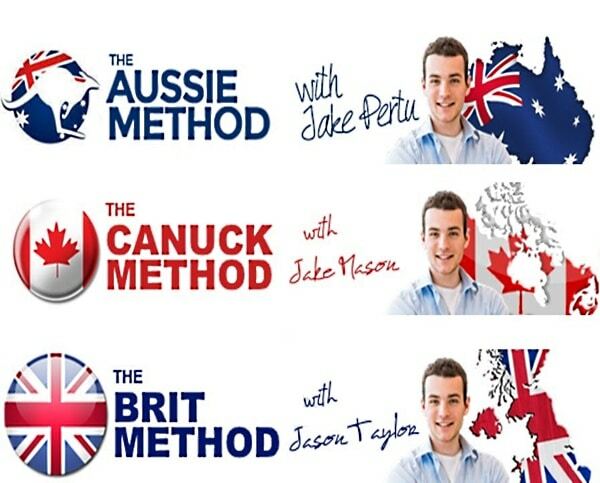 Jake Pertu, the founder of the Aussie method, is a young handsome man in his early twenties. He does not explain who he is or what he does except that he is now a multi-millionaire. He did not put in 15 or 20 hour workdays, he did not go some fancy college, he’s not a computer genius, and he knows almost nothing about how the financial markets work. He became a millionaire by using the exact same trading software that he is now offering to you – the Aussie Method app. Obviously, Jake is a good guy. After becoming a millionaire and with hundreds of thousands of dollars coming into his bank accounts every week he does not need any more money. Instead, he wants to give something back to the world. He wants to help people – not just give them money but teach them how they can become millionaires. 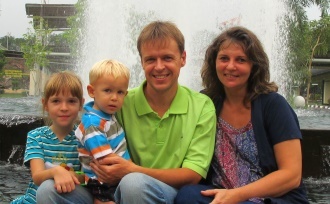 Jake started with his own family members and friends – turned them into millionaires. After that he began to help ordinary people on the street. Amazingly, he has 100% success rate with every single person he’s worked with. All of them have turned into millionaires. To prove it, he shows you many fat account balances of his customers. Others give grateful video testimonials. However, he has never needed to do that because every single person had made a lot more money before the deadline fell. Now it’s your turn. But you must hurry because Jake gives this life-changing opportunity to only 20 people. That’s it. The whole story. He does not reveal much, right? Not many details on how the Aussie Method was created; who were behind the product; how does it achieve its 100% success rate, etc., etc., etc. Well… Because he does not bother to answer them, I am going to do that. Before I am going to rip the whole thing apart, though, let’s see what the Aussie Method will promise you. Please keep reading, as some of these are mind-blowing, to say the least. You’ll begin to see the profits coming into your account within a matter of hours. If anything, this is very alarming. First, let’s face it – you know absolutely nothing about Jake Pertu. 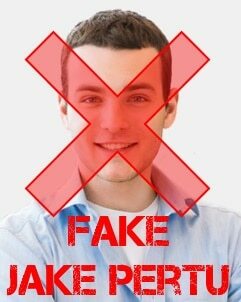 The only thing the scammers give you is a stock photo of a young man, and a man’s voice in the video telling that he is Jake Pertu. Now, let me ask you – How on Earth are you going to know whether the man’s voice belongs to the young man on the photo? In fact, it doesn’t. Because the voice belongs to a much older man. These two just don’t match to begin with. But even without this obvious fact, be warned that if you consider subscribing to the Aussie method, you will be going to buy a pig in a poke. Except the email. Well… When you will send them an email, will you know who is on the other end of the line? No, you won’t! Next, the shadow figures behind the Aussie Method do not explain who or how created that super-duper trading software. Neither they explain whether or how the software works. All the testimonials and screenshots that you will see on their website prove nothing. It is ridiculously easy to fabricate them (and, as I will show you below, fabrications they are. So keep reading). The video itself is a long and repetitive sales pitch gathering all the scams clichés possible. My Verdict: Zero transparency, zero information about the actual company and people behind it. Stay away! Now, according to his bragging, he has 100% success rate and every single person that he has helped, has turned into a millionaire. However, he does not have ANY genuine proof (video testimonial) to prove it. Even though this is the requirement to qualify. Every single testimonial in the Aussie Method website is fake – fabricated and played by cheap actors. See! The same actor gives her testimonial to the Millionaires Maker scam. You can find hundreds of such actors in Fiverr alone (hint: search for “video testimonial”). I understand these people want to make few bucks but it does not excuse bold-faced lying. See! These screenshots prove nothing! The trick here is to make you believe that trading with the Aussie Method does not require your own hard-earned money. As you saw above, trading Binary Options requires two things – you need a trading software and you need a trading account with some Binary Options broker. Then you need to fund your account with real money – YOUR money. This money is used for trading. You can profit but you can also lose it. When con-artists tell you that everything is free, it means, the software is free. But hey! It’s only the first half of the story! The second half is that you need fund your trading account. And that’s how they make money while you are doomed to lose all your investments. Listen! The system is rigged against you. Be warned! Next, let’s see what Jake says about his $10,000 cash guarantee. So what’s wrong in this picture? The trick is to deceive innocent people into believing that if they fail to make hundreds of thousands, at least they can walk away with $10,000 in cash. The big trouble here is that Jake Pertu’s generous claim deliberately ignores… the fact that you must fund your trading account in the first place. Then you must trade Binary Options for 30 long days using your hard-earned cash. Not only that, your account is tied to a shady offshore broker whose sole purpose is to separate you from your money. It’s so awfully disgusting! You will never see that $10,000. It’s a fact. Sense of urgency is an old marketing trick which makes people buy. Why? Because they feel that they need to act at once. If they hesitate or delay, they might miss out a great opportunity for good. Scammers know that fact and they exploit it heavily. If you want to be the lucky one and start making millions, you cannot hesitate. There are only 20 spots available and you need to act immediately. Hey! The video is uploaded on Dec 2, 2015 and it has only 197 views. Where’s the urgency? Just in case you did not know, a broker plays a crucial role in Binary Options trading. Because you need a trading account with some broker, then deposit your money to that account. It means, you literally trust your investments into the hands of your broker. If it is a genuine, regulated broker, great. You can always withdraw your money. And if something will get wrong, you can apply a complaint. However, this is not the case when you trust your money to a shady, unregulated offshore broker (and there are tons of them), you will neck deep in problems. And that’s exactly the case with the Big Options broker. Although they advertise themselves as the most reliable broker, it is not true. 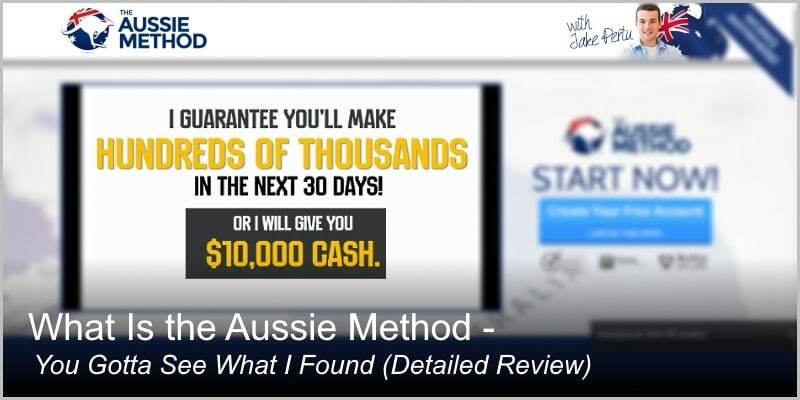 My verdict: The Aussie Method is a 100% scam. The anonymous charlatans behind this wicked scheme are bold-face lying to you. They’re using every trick in their tool-bag to make you join their system. After that they will rip you off. Listen! Binary option has never been an quick way to easy make money. There are thousands of people complaining about losing money in these tradings. However, there are also those who do make a real money out of this. It’s possible. However, this is not for the average Joe. Binary Options require a great deal of experience and knowledge about investing and risk management. Tired of scams? Here is much better and safer way to make side-money online. Learn more! It won’t cost you a penny to see whether it is for you. See now! Now that you have reached the end of the review, what are your thoughts? What is the Aussie Method about? A legit opportunity or a scam? Do you have any experience with it (good or bad) that you want to share? I got burned by a scam broker recently, was close to impossible to get a withdrawal. I had to hire a recovery firm to get my funds back. Glad this is over for me. Hey and thank you for taking your time and sharing about your experience. I am glad to hear you could get your money back and it’s over for you. Awesome! How much you had to pay to that recovery firm. Was it a fixed price or percentage of the money you wanted to withdraw? I got scammed by a bogus broker recently, I had to hire a recover professional to get my funds back. I’m glad this is over and I can finally put this behind me. Happy to share my experince. Hey and thank you for the comment. Sad you got scammed but glad that you got your funds back. A good lesson learned here, right? Internet is full on all kind of dirty scam schemes and one must be very careful when deciding to invest. The more homework you do beforehand, the better. Also, my recommendation is to use products that give at least a free trial option and don’t ask you to submit your credit card data. For example, here is one of such online training platforms that help you make successful passive income stream online. Try out and see – it is completely free to get started. That’s how you avoid getting scammed.